Where is ocean acidification research going? 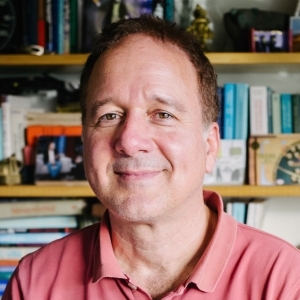 Professor Ken Caldeira is a climate scientist at the Carnegie Institution for Science, where his job is “to make important scientific discoveries.” He also serves as a Professor (by courtesy) in the Stanford University Department of Earth System Science. Ken is a member of the committee producing the 2015 U.S. National Academy of Sciences report “Geoengineering Climate: Technical Evaluation and Discussion of Impacts”. He is also a contributing author to the Intergovernmental Panel on Climate Change (IPCC) AR5 report Climate Change 2013: The Physical Science Basis. In 2010, Ken was a co-author of the 2010 US National Academy America’s Climate Choices report and was elected Fellow of the American Geophysical Union. He participated in the UK Royal Society geoengineering panel in 2009 and ocean acidification panel in 2005. Ken was coordinating lead author of the oceans chapter for the 2005 IPCC report on Carbon Capture and Storage. Dr William Cheung is an Associate Professor at the Fisheries Centre, UBC. He is the Co-Director of Nippon Foundation-UBC-Nereus Program. William’s main research area is on assessing the biophysical and socio-economic vulnerabilities and impacts of climate change and other human stressors on global and regional marine ecosystems and fisheries, and identifying mitigation and adaptation options. His research examines global patterns and general theories related to the responses and management of biophysical and socio-economic systems under global change, and apply the findings to research at regional and local scales. William works on various interdisciplinary research projects with global collaboration networks including UK, Australia, Kenya, China and USA. William’s works contributed significantly to understanding how climate change is affecting marine fisheries. He participates as Lead Author in various high level international assessments, such as the Fifth Assessment Report of the Intergovernmental Panel on Climate Change (IPCC), Global Biodiversity Outlook (GBO) and Intergovernmental Platform on Biodiversity and Ecosystem Services (IPBES). Dr Sinead Collins’s research focuses on building the theory needed to predict the evolutionary potential of microbial populations. To do this, she and her group use microbial experimental evolution to understand how natural selection acts when large microbial populations evolve in changing environments. 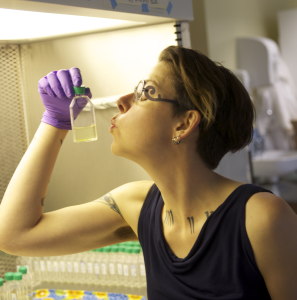 Experimental evolution is a field that rarely considers marine systems, and Sinead has spent much of the decade since getting her PhD working with others to create a field of “marine microbial experimental evolution” that pulls together the strengths of marine and evolutionary biologists. Concretely, Sinead and her group are interested in making generalizable evolutionary predictions about changes in fitness and phenotype from the contemporary characters of populations and their environments. For example: how does individual plasticity affect evolution? What about diversity in microbial populations with an already-high mutational supply? What limits the evolution of rapid growth in enriched environments? How do interactions between environmental drivers alter the action of natural selection? Sinead is a Royal Society University Research Fellow in the Institute of Evolutionary Biology at the University of Edinburgh. Professor Minhan Dai is a Cheung Kong Chair Professor of Marine Biogeochemistry and currently services as the Director of the State Key Laboratory of Marine Environmental Science at Xiamen University, China. Minhan Dai’s research interests include carbon and trace metal biogeochemistry in marginal and estuarine systems, and geochemistry of radioactive elements in surface and ground water. Born in 1965 and raised in Hangzhou, Minhan Dai earned his B.S. degree from Xiamen University and his Ph.D. from Université Pierre & Marie Curie (Paris VI), France in 1995. After a Doherty Foundation Postdoctoral Fellowship at Woods Hole Oceanographic Institution (WHOI), he took a faculty position at Xiamen University in 1998. Minhan Dai has published more than 110 papers in leading international journals (http://www.researcherid.com/rid/G-3343-2010). 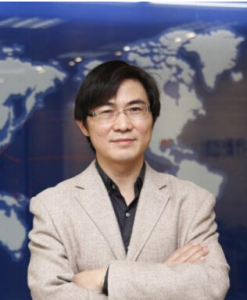 He is a leading PI of a “973” project funded through National Basic Research Program of China on “Carbon cycling in China Seas – budget, controls and ocean acidification” (CHOICE-C) which is at the second phase funded through 2019. Minhan Dai has served on many national and international committees, such as a SSC member of SOLAS and GEOTRACES. He was the Secretary General of AOGS (Asia Oceania Geosciences Society) from 2010 to 2012. Minhan Dai is a co-chair of SCOR 146 Working Group and a member of the SOLAS-IMBER Working Group on Ocean Acidification. 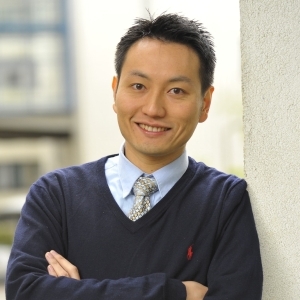 Minhan Dai is also serving on the editorial board of “Biogeosciences” and “Marine Chemistry”. Sam Dupont is a Researcher and an Associate Professor in Marine Ecophysiologist at the University of Gothenburg and an Honorary Assistant Professor at the School of Biological Sciences, Hong Kong University. He is currently based at UC Berkeley for a sabbatical stay in Stillman’s laboratory. Sam’s main research topic is on the effect of increased CO2 and related changes on marine species and ecosystems. He was published in more than 120 publications in journals including Nature, PNAS and TREE. His work aims at revealing the mechanisms behind species and ecosystem responses to environmental changes and at developing the needed unifying theory for large scale projections. Sam is in direct contact with various stakeholders, both at local and global level. He is a member of the Advisory Board of Ocean Acidification International Coordination Centre (OA-ICC), the Executive Council of the Global Ocean Acidification Observing Netword (GOA-ON) and the Steering Committee of the EuroMarine Consorium. 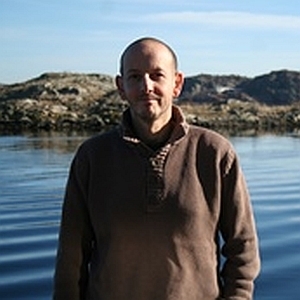 Sam is an active partner in several science education projects, including “Inquiry-to-Insight’ and “Inquiry-to-SEA’, collaborations between the University of Gothenburg and Stanford University, the ‘VirtualLab project’ which is a collaboration between the Faculty of Education and Faculty of Sciences at the University of Gothenburg. 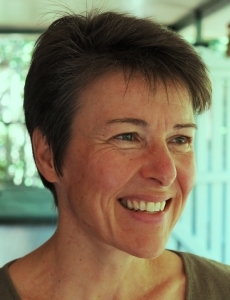 Dr Katharina Fabricius is a Senior Principal Research Scientist at the Australian Institute of Marine Science (AIMS) in Townsville, and the Leader of the AIMS CO2 Seeps Project. Her research focuses on the effects of large-scale disturbances from ocean acidification, climate change and terrestrial runoff on the biodiversity and ecological functions of coral reefs. Katharina combines field work, laboratory experiments and syntheses to predict the future of benthic ecosystems and organisms in a high CO2 world. She has spent many months in Papua New Guinea to work on volcanic CO2 seep sites, where coral reefs and seagrass meadows have been exposed to predicted end-of-century CO2 levels. These sites serve as a natural laboratory to better understand whether and how key organisms acclimatize and ecosystems adapt to long-term exposure to high CO2. 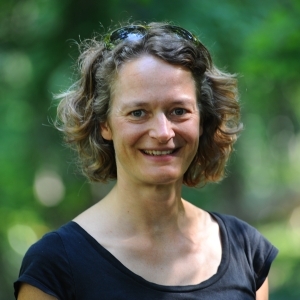 Katharina holds advisory roles for various government bodies and NGOs as coral reef expert on ocean acidification, water quality and climate change issues. Professor Stefan Gelcich studies social-ecological dimensions of marine fisheries management and environmental conservation. He is a Professor at the Pontificia Universidad Católica de Chile and a researcher with the Center of Applied Ecology and Sustainability, where he works on environmental policy and the adaptive capacity of small scale fisheries and the aquaculture industry. Stefan also studies the interplay between ecological and governance determinants in implementing and effectively managing marine protected areas. As part of this work he has pioneered in the establishment of new participatory models for conservation in Chile. He has published more than 60 articles and book chapters on linked social-ecological systems. Stefan’s research has led him to be part of important government commissions and advisory boards. He was awarded the Pew marine conservation fellowship in 2014. Stefan is also a member of the board and regional councilor for Global Green Grants, an environmental NGO that awards small grants to grassroots movements engaging in environmental issues in more than 100 countries. Stefan’s area of expertise in coupling social and ecological systems has allowed him to perform consultancy work in Chile and overseas for Government and Industry and managing funds for nature conservation. 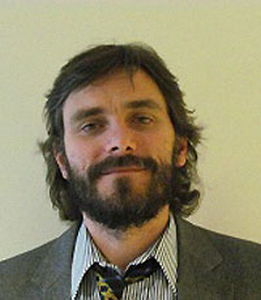 Stefan received his BSc from the Universidad Católica del Norte, his MPhil from the University of Cambridge, and his PhD from University of Wales, Bangor. Barbel Honisch is an Associate Professor in the Department of Earth and Environmental Sciences and at the Lamont-Doherty Earth Observatory of Columbia University in New York. Originally trained as a biologist, Barbel developed an interest in paleoceanography, geochemistry and proxy validation, with special focus on reconstructing past marine carbonate chemistry from foraminifers. Her research includes laboratory culture studies with planktic foraminifers, sediment coretop validation studies and reconstructions of past climate change and ocean acidification. Working with a number of graduate students and postdocs, Barbara’s current research projects include establishing the magnitude of sea-surface acidification during the Paleocene-Eocene Thermal Maximum, testing geochemical proxy relationships under variable paleo-seawater chemical compositions, reconstructing surface and deep ocean carbonate chemistry across the mid-Pleistocene transition, and reconstructing paleo-pH across the Middle Eocene Climatic Optimum. Dr Kristy Kroeker’s research addresses how the effects of environmental change on marine species scale-up to impact communities and ecosystems. Her research uses experimental approaches that link species and community properties to key environmental drivers, as well as analytical approaches that synthesize ecological patterns. Her current research aims to address the combined effects of multiple environmental and ecological drivers in complex, dynamic ecosystems, in order to address how local scale factors may mediate the effects of environmental change. Dr Kroeker received her PhD from Stanford University where she studied marine community ecology at Hopkins Marine Station. Her dissertation examined the potential for ecosystem shifts in response to ocean acidification at shallow water volcanic carbon dioxide vents. In addition, Kristy has authored several influential meta-analyses of ocean acidification’s effects and the cumulative impacts of multiple stressors. 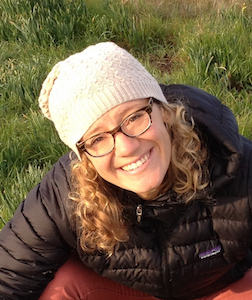 Kristy was awarded the Frances Lou Kallman award in 2012, and named a Rising Environmental Leader at the Woods Institute for the Environment at Stanford. She is currently an Assistant Professor at the University of California Santa Cruz.